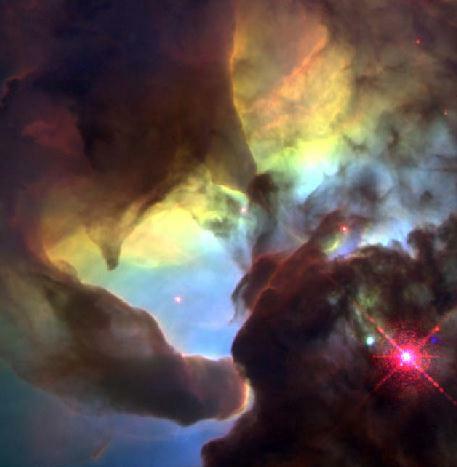 Explanation: The awesome spectacle of starbirth produces extreme stellar winds and intense energetic starlight -- bombarding dusty molecular clouds inside the Lagoon Nebula (M8). At least two long funnel shaped clouds, each roughly half a light-year long, have apparently been formed by this activity. They extend from the upper left of this close-up of the bright area of the Lagoon known as 'the Hour Glass'. Are these interstellar funnel clouds actually swirling, twisting analogs to Earthly tornados? It's possible. As energy from nearby young hot stars, like the one at lower right, pours into the cool dust and gas, large temperature differences in adjoining regions can be created generating shearing winds. 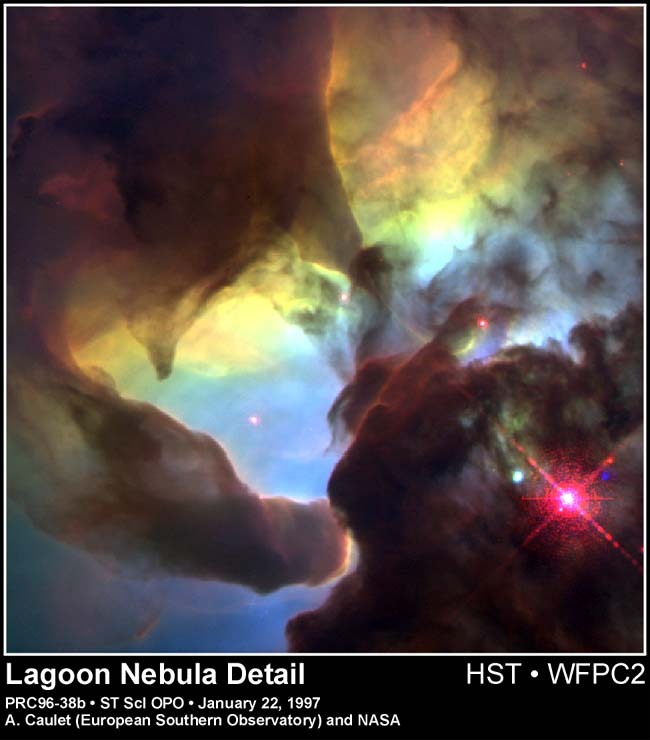 This picture is a reprocessed HST image made in 1995 as researchers explored this nearby (5,000 light-year distant) starforming region which lies in the direction of Sagittarius.